Since 1959, the Maryland Genealogical Society has been promoting genealogical study and research. Through our publications, programs, resources, and outreach, the Society can help you explore your family history. If you are already a member of the Society, you can log in by clicking on the Members Only link. If you are not already a member, we encourage you to become a member and begin receiving all the benefits of membership. And we hope that you'll follow us on Facebook for timely news and information. 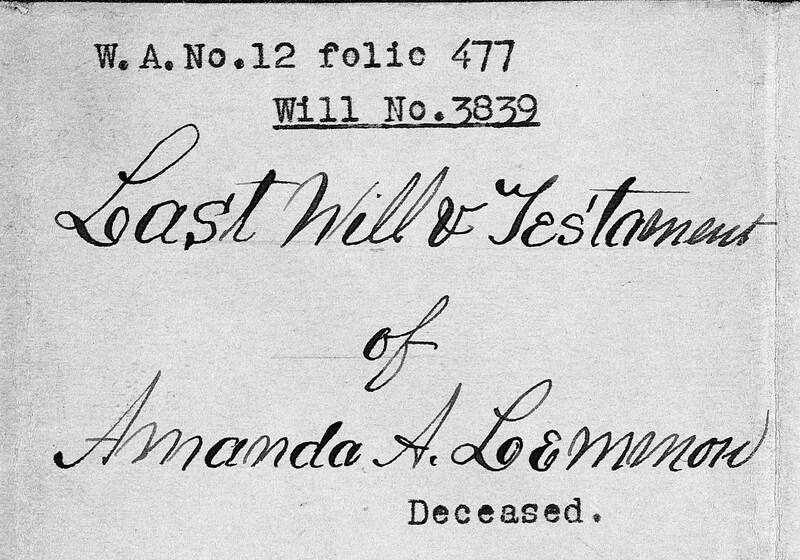 The Maryland State Archives is participating in a joint project with the Comptroller of the Treasury, the Registers of Wills, and FamilySearch to have the state's probate records from 1634 to 1940 indexed, scanned, and made available online. Volunteers are preparing the documents for scanning and indexing the records. The indexed information eventually will be available in an online FamilySearch database. In the meantime, as county indexes are completed, the Maryland State Archives is making the spreadsheets available for researcher use. Many thanks to MGS Board Member Tom McCarriar - who is participating as a volunteer on the project - for providing us with copies. Click here to see the index spreadsheets currently available - Baltimore County, Caroline County, and Carroll County. Visit the Maryland State Archives web site for more information about volunteering for this or other projects. 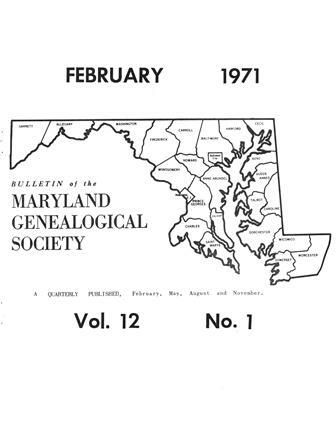 We are pleased to announce that digitized copies of Volumes 1-38 of the Maryland Genealogical Society Bulletin are now available in the Members Only portion of the web site. Access is available to MGS members as an exclusive member benefit. After signing in as a member, look for the "MGS Bulletin Archive" link under Members Only on the lefthand navigation bar. There are 150 issues available dating from 1960 to 1997. While the earliest issues from the 1960s are more like a newsletter than the later issues of 100+ pages, all have interesting content. You can consult the cumulative table of contents to learn what articles appear in each issue. Each issue is a PDF that is full-text searchable. Our ultimate goal is to offer the capability to search across all issues in a single search, and we are working toward adding that feature. If you have any questions or comments, please contact us at webmaster@mdgensoc.org. The January 2019 edition of MGS News is now available. If you are a MGS member, you should have received the issue by email. If you are a member and haven't provided us with your email, please contact us at info@mdgensoc.org so that you can begin to receive MGS News. This issue features news items on past and future MGS events, and a new project to index the Baltimore City Male Marriage Index (1886-1914). This issue also contains a new "Leave No Stone Unturned" article by Bob Barnes. Archived copies of this issue and previous issues are available in the Member's Only area. The December 2018 issue of the Journal is available. Members receive their copies by mail. Limited quantities of the current and earlier issues of the Journal also are available for sale. Members receive a discounted price. Click here for information on prices and how to purchase. Two new authors are featured in the December issue. Richard D. English has been researching his English line for decades and it shows in this case study, James English and Descendants of Colonial Somerset: Newly Available Evidence Reveals Hidden Lines, that features both documentary and Y-DNA evidence. Jane F. Burgess's crossword puzzle on Y-DNA is an apt companion piece. Pennsylanian Pam Pracser Anderson traces Frank Feather's migration pattern between Pennsylvania and Maryland by unearthing clues of Franks's carvings. Debbie Hooper, a leading expert on Eastern Shore research, turns her attention and ours to the lower Eastern Shore counties of Somerset, Worcester, and Wicomico, providing valuable guidance. Allender Sybert continues his series of abstracts of apprenticeship records of Anne Arundel County, with every name indexed. University Archivist Emeritus Anne S. K. Turkos tells us everything we need to know if we have University of Maryland students or faculty among our ancestors. Four book reviews highlight new sources and reference works, from historical studies to how-to guides. For a look at the full table of contents, click here. “Leave No Stone Unturned” is a series of occasional articles in MGS News and its predecessor, the MGS Newsletter, by Board Member Robert Barnes. Bob has had over 50 years’ experience tracing Maryland families. 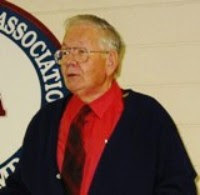 He is the author of many source books, compiled family histories, and guides, and has taught many courses in genealogical research and lectured at genealogical conferences. We have assembled an archive of his articles - 28 to date - which is available to MGS members in the Members Only section of the web site. 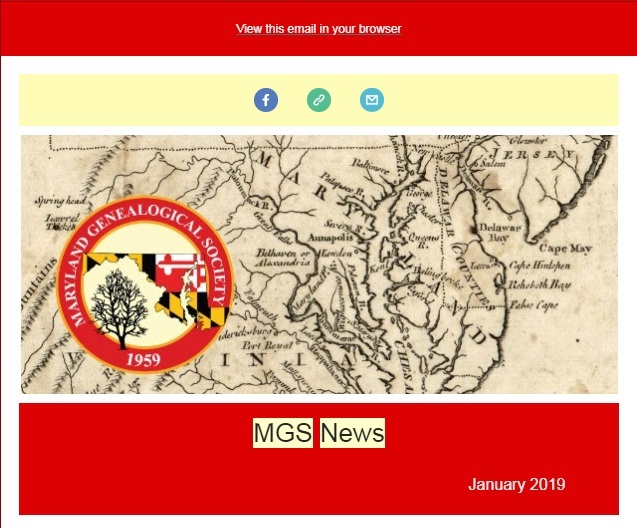 MGS thanks Bob for sharing these articles on a variety of Maryland genealogy topics. We're Looking for Your Photos! Would you like to see images of your ancestors included on the MGS Web site? Members are encouraged to submit photos for inclusion in the gallery of images at the top of the page that rotate and change each time visitors go to a new page on the Web site. (Each has a caption that you can read by hovering your cursor over the image.) For more information about submitting images, click here.